Free Game Friday: A Modern Spin on Asteroids, A Platformer Where You Make the Platforms and More. This week we spent most of our time by looking for games that were overlooked from recent game competitions like Ludum Dare and the Molyjam. Even though these games might have been overshadowed out of the gate, they've got a lot to offer; give 'em a shot and let us know what you think! Astro Break is a fun little game that plays a little like a combination of Asteroids and later arcade shooters. 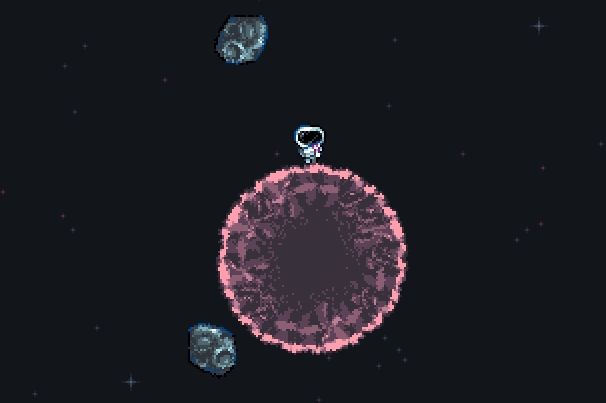 You play an astronaut trapped on a tiny planet shooting up at a collection of asteroids that will kill you if you ever collide. But destroying the space rocks gives you access to a number of powerups to make your asteroid destroying life easier and more fun. It may sound simple, and it is, but it's also fun. Next we've got a short platformer I'd love to see expanded upon. The stack::tracker() game has you playing as a sentient bit of your computer that needs to add and delete functions to escape a program, but that's really just the hook for a new spin on platform games. 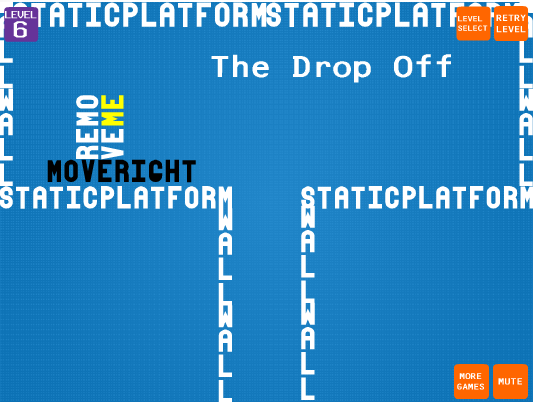 Instead of jumping from one platform to the next you'll need to collect new platforms and construct them to move your player across the gaps in the level. This short game brings a new spin to the world of physics puzzles. In Words and Physics our goal is to move text off of the screen by interacting with various text fields in the level. The twist is that what you type matters. Typing moveleft will drag the textfield to the left for instance, taking anything on top of your text with it. The puzzles get more complex as the game moves along but the hook remains engaging. Yay words!